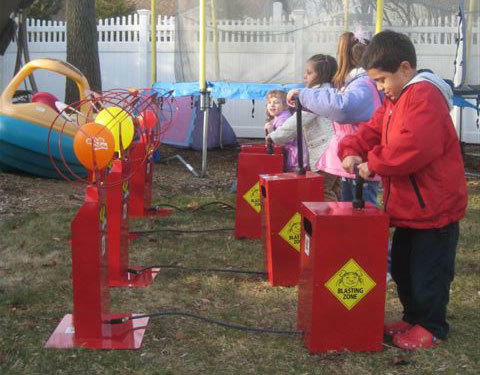 We want your event to be a BLAST, so why not try our exciting Boom Blasters game?! And with so many exciting ways to play, the fun doesn’t end with just a POP! Compete head to head to see who can pop their balloon first, or rent a second unit in a team showdown. *Customers must provide 11-12” latex balloons.